It is May 1962. The `phone rings. Brian, 15 year-old grammar-schoolboy and bass player in the Denvers, picks up the receiver. It is Sam Curtis, ex Road Manager of the Shadows, "How would you like to go to France?" Four days later the Denvers leave Stockton for London and France. Roy (16 years old) and Brian have both left school, Roy days before his O-levels! Louis and Johnny, both 21 and painters and decorators, have packed in their jobs. Thus begins a two-year adventure that will take them from the back streets of Stockton to entertain US troops in France and secure a recording contract, against a backdrop of rising tensions between NATO and the Soviet Union, the Cuban missile crisis, the assassination of President John F. Kennedy, and the Algerian crisis in France. 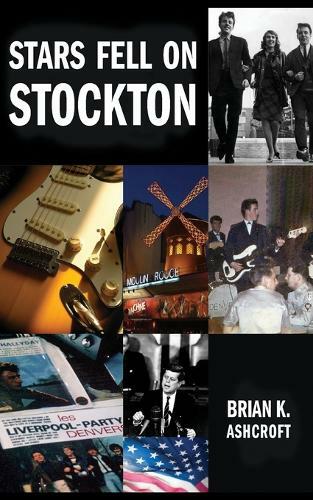 This book charts Brian's early life and what it was like to be a young rock- group troubadour as some of the major social, political and cultural events of the early 1960s swirled around him and his band mates.